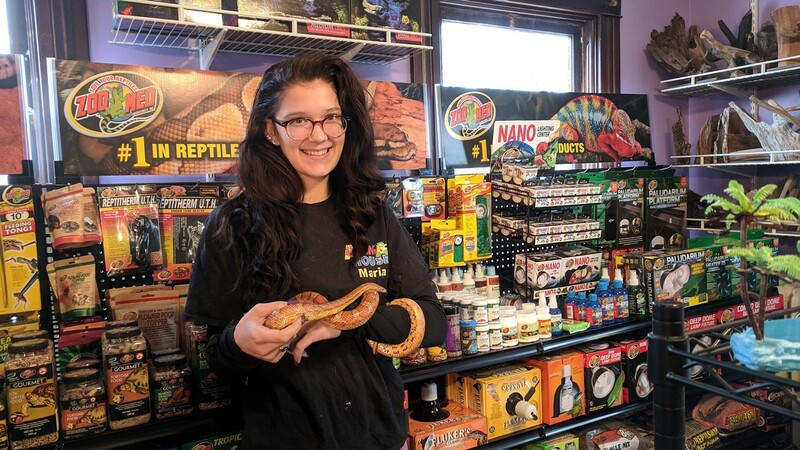 Store of the Month – December 2018 | Zoo Med Laboratories, Inc.
Our December Store of the Month is Animal House! 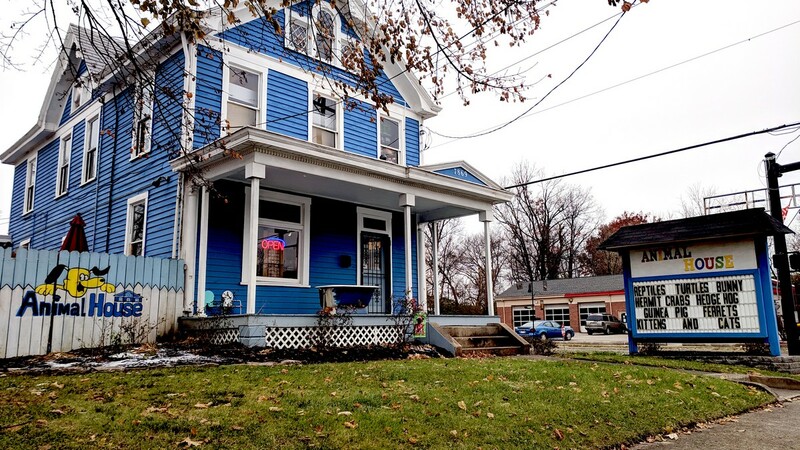 This bright blue house has been home for this pet store for over 4 decades. At Animal House, owners Mike and Kathy do a lot of work with rescues. 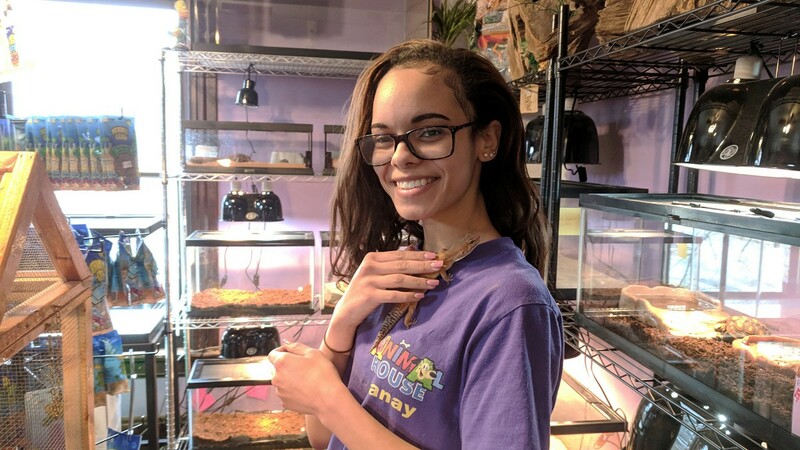 They have a great network to make sure they can find a new loving home for all rescued animals, and they work closely with new and experienced pet owners to make sure they are prepared to take care of their newly adopted pet. 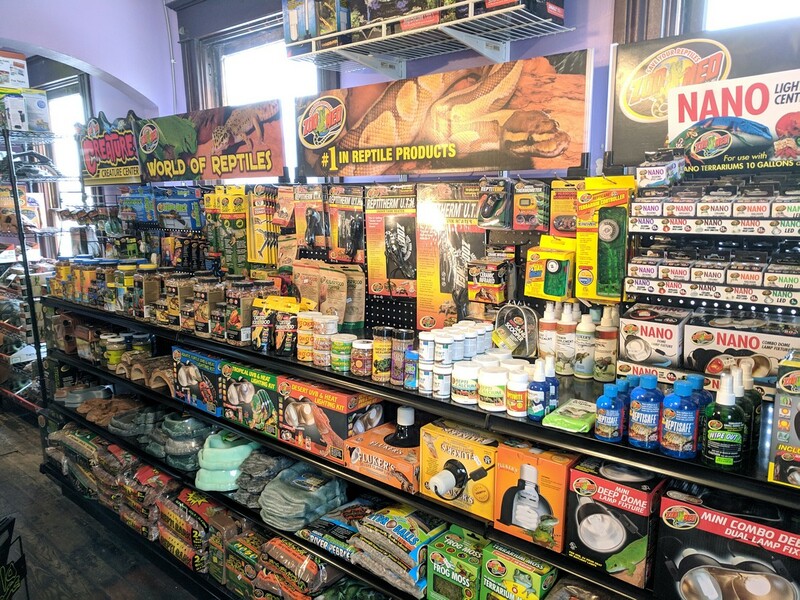 Mike and Kathy have also devoted the entire second floor of their store to exotic animals, so you’re sure to find all the supplies you need for your pet reptile. If you’re ever in the Cincinnati area, make sure to check out this big blue building! True to their name Animal House is a mom and pop pet store located in a hard to miss blue house built 100 years ago in 1918. 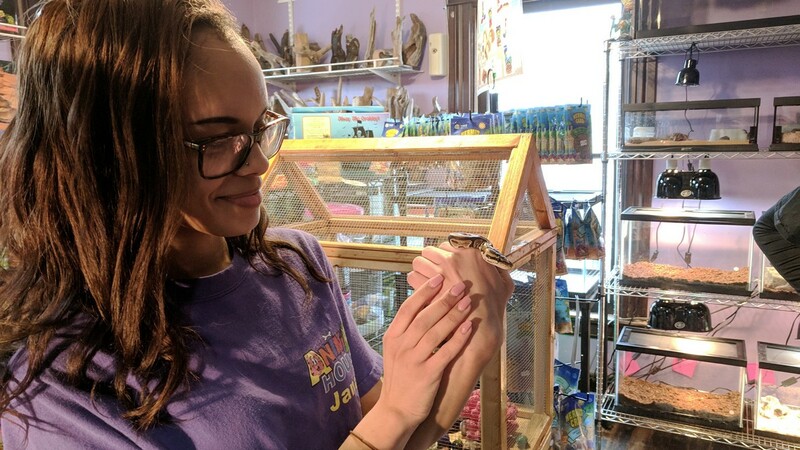 The house has been home to a pet store for more than 4 decades. In 1997 Mike and Kathy took over ownership. They started making some major changes. One big change is that they brought in numerous different types of animals. Due to all the new animal residents, the neighborhood children gave the pet store the nickname of the Animal House. 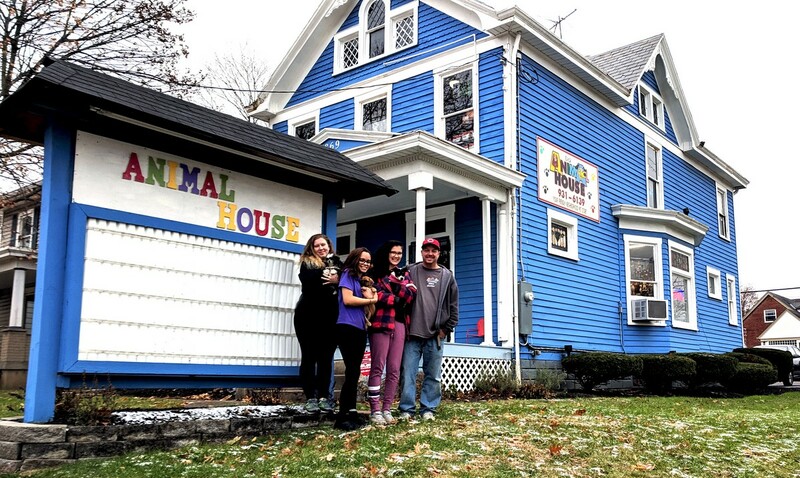 The nickname stuck, and Mike and Kathy made it official by changing the name of the store to Animal House. When you first walk into Animal House you will see puppies, kittens and numerous dog and cat products. But don’t let that fool you into thinking that’s all that they offer. They make the most of the space that they have. They are a full-line pet store with more to see on the 2nd floor. 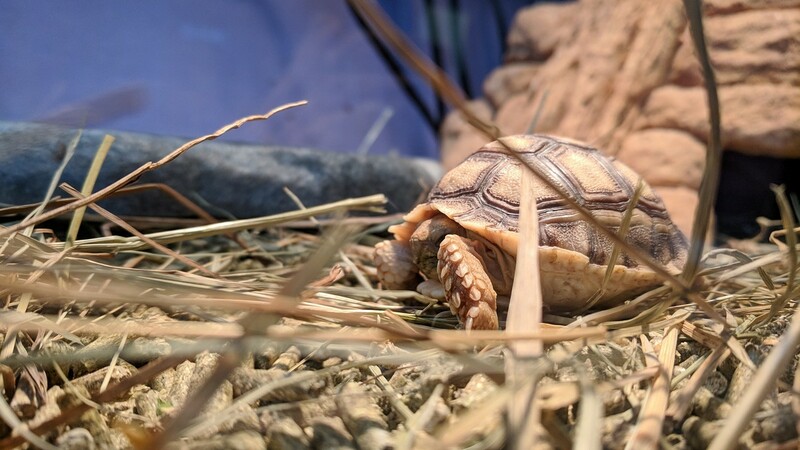 Upstairs you will find a room dedicated to reptiles and another for small animals. The reptile room has undergone some major improvements recently. 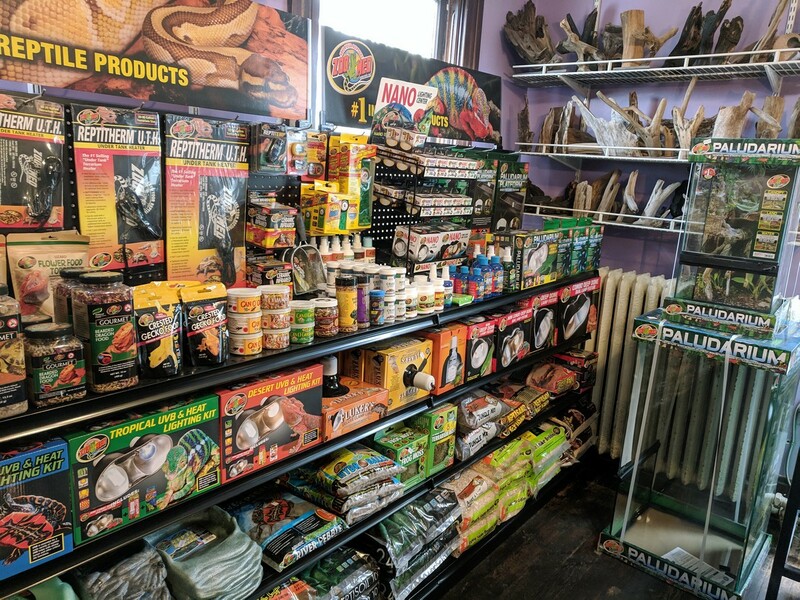 Here you will be able to find a nice variety or reptiles to adopt, along with all your Zoo Med product needs. At Animal House they do a lot of work with rescues. It is their mission to make sure all rescued animals are treated for their illnesses. They have a great network in place to make sure they can find a new loving home for rescued animals. 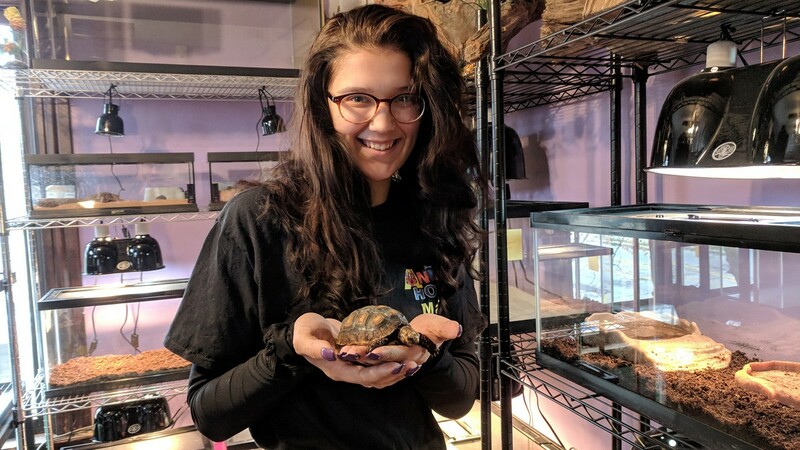 They will work closely with new and experienced pet owners to make sure they have the tools and techniques necessary to take proper care of their newly adopted pet. 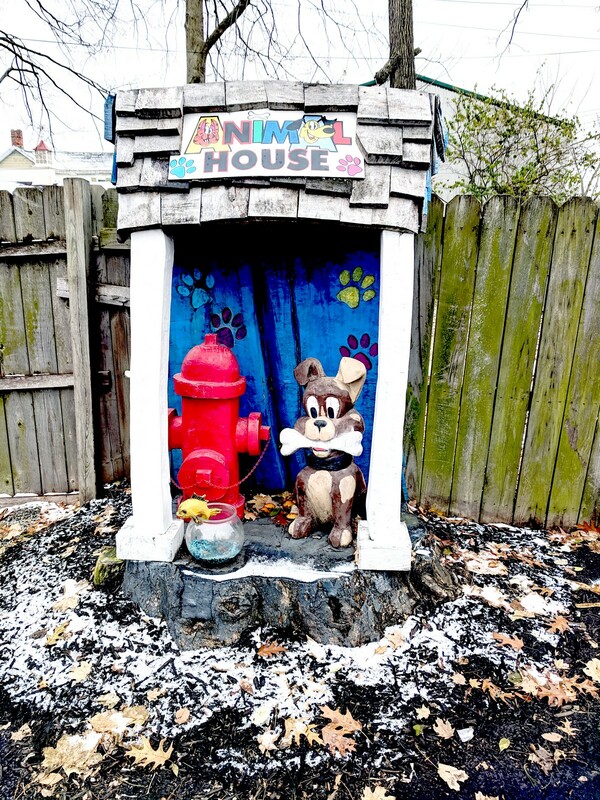 So, if you are in the area, make sure to stop by this one of a kind Animal House.